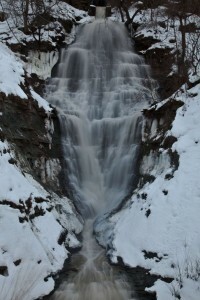 Westcliffe Falls is a Complex Ribbon Cascade with water flowing year round.It is located on a Chedoke tributary and has a height of 18 metres (60 feet) and a crest width of 1.8 metres (6 feet). 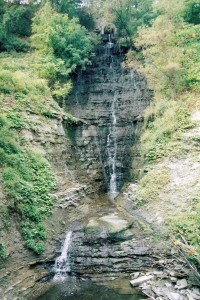 On the poster “Waterfalls of Hamilton Seasons” (2002), this waterfall was referred to as “Waterfall West of Cliffview Park” because it did not have a proper name yet. Two years later (2004) the name of Westcliffe Falls was assigned by the Hamilton Conservation Authority. 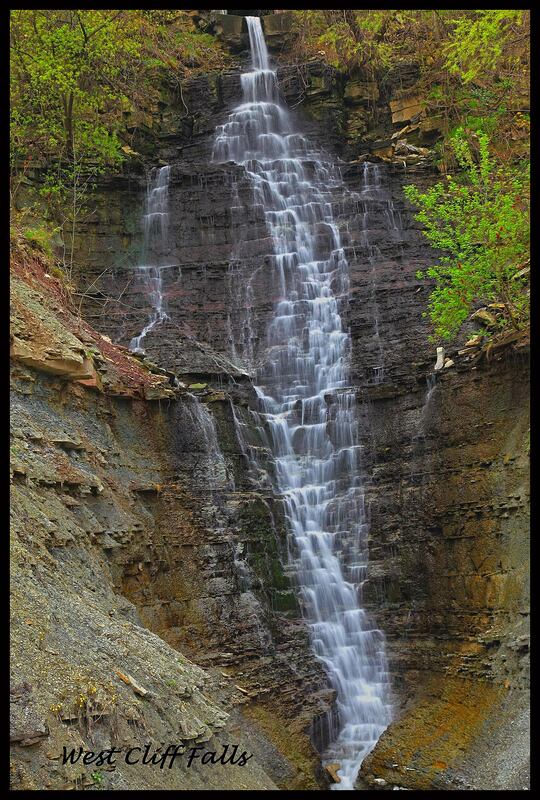 Westcliffe Falls can be seen from the top of the metal steps at Cliffview Park (which lead down to the Chedoke Golf Course parking lot). To view the waterfall from below, you have to climb up the escarpment from the Chedoke parking lot beside the metal steps, pass under the first landing and go westward to the second ravine. 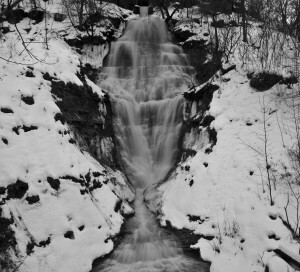 Westcliffe Falls is at this second ravine. Note that there is no path and it can be dangerous. 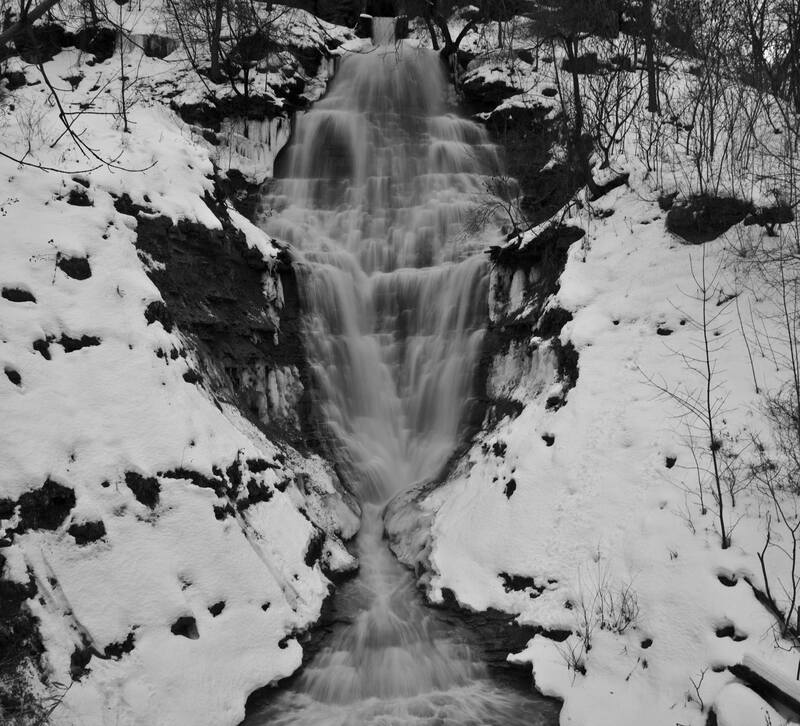 Currently the City of Hamilton is going through the Environmental Assessment process so that they can construct a safe pathway to Westcliffe Falls, Lower Westcliffe Falls and Lower Cliffview Falls. Hopefully this work will be done within the next few years.